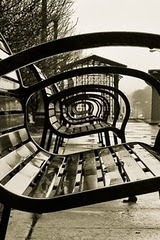 Benches. Image Source: Linda is Write. 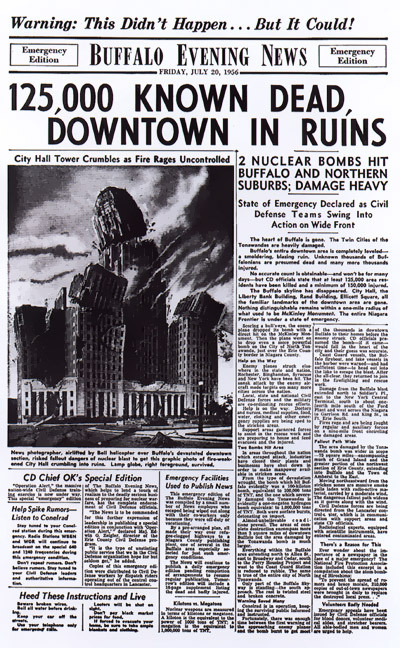 July 20, 1956 'Emergency Edition' of The Buffalo Evening News, a faux headline that was part of Operation Alert, a US civil defense exercise in the 1950s, was a dress rehearsal for potential nuclear annihilation. Image Source: Conelrad. Why is the end of the world so popular? It is a resilient human expectation which has transcended all times, all cultures, all religions. If the end of the world weren't such a frightening message, it would amout to a comforting reminder of human commonality. As far back as 2800 BC, an unknown prophet wrote on an Assyrian clay tablet, "Our earth is degenerate in these latter days. 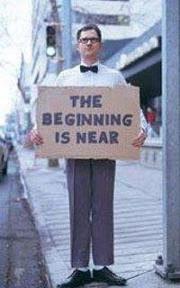 There are signs that the world is speedily coming to an end." [See this story questioned here, here and here.] In the seventh century BC, many Romans believed Rome would suffer a cataclysm in 634 BC. Around 300 BC, Hindus were convinced they lived in an "unfortunate time" known as the Kali Yuga - the lowest point in the great cosmic cycle. In 426 AD, the Christian writer Augustine mourned that this evil world was in its last days. According to the Lotharingian panic-mongers who lived more than 1,000 years ago, human life on earth would end on March 25, 970. Astrologers in 16th century calculated that the city would be destroyed by a great flood on February 1, 1524. American minister William Miller proclaimed the planet's "purification by fire" would occur in 1844. Anglican minister Michael Baxter assured his followers that the Battle of Armageddon would take place in 1868. The Jehovah's Witnesses anticipated the End of Days in 1910, then 1914, then 1918, then 1925. John Ballou Newbrough ("America's Greatest Prophet") promised mass annihilation and global anarchy for 1947. 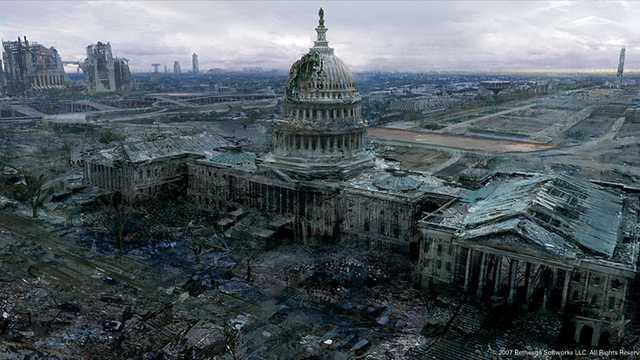 Breszny directs his readers to the Website, A Brief History of the Apocalypse - here. On this site, compiled by Chris Nelson, you get a timeline of failed doomsday prophecies across the centuries. The timeline reveals that doom-sayers have predicted the end of the world more or less continuously every few years since ancient times. 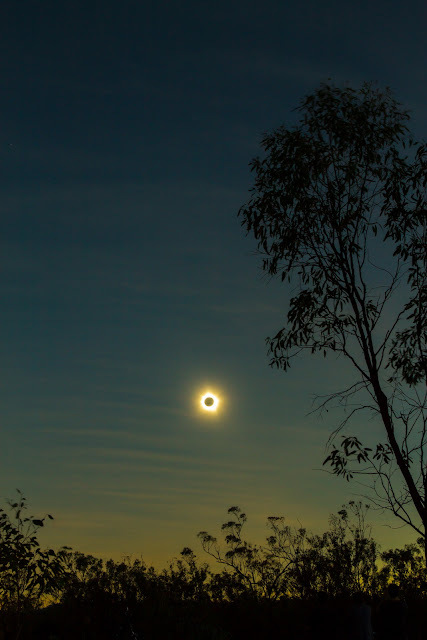 November 2012 solar eclipse by Phil Hart. Image Source: Starship Asterisk. World's end is one of the most profitable and popular film, genre fiction, and video game themes. In a lousy economy, entertainment about massive doom and destruction is guaranteed to make money. In marketing terms, scenes like the one below have more consumer appeal than any smiling flower or singing teddy bear. Image Source: Bethesda Softworks via io9. Since the turn of the Millennium, technological communication has multiplied the type and number of millenarian apocalyptic predictions to several per year - see here. What is interesting is the sheer number of coincidental fateful predictions set for the end of this year and into next year. Does the sun have a shadow twin (see here, here and here)? Have we reached the centre of the Milky Way Galaxy? Are we leaving the Age of Pisces and entering the Age of Aquarius? Have the Mayans read the heavens correctly to predict a new era (see here, here, here and here)? NASA is concerned enough to post articles and videos to reassure the public. 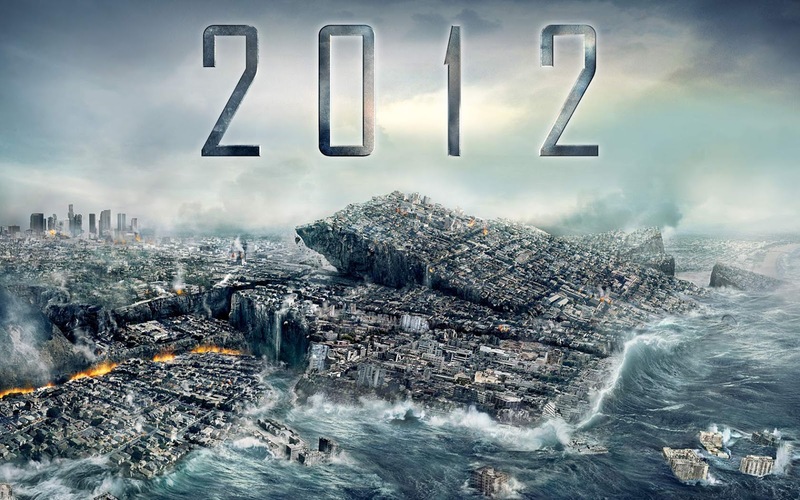 Conspiracy theorists on the Internet have responded by arguing that NASA is keeping the 2012 disaster a secret! People love to imagine the end of the world. Is it because it gets them off the hook from all their worries and responsibilities? Is it because promised apocalypses give dire meaning to things when the world seems wayward, misdirected, or in the grip of frightening change? Is it a most seductive way of falsely predicting the future? Does the prediction's attraction stem from the way it is used to justify requests for power and money from vulnerable people? I would argue that the 2012 phenomenon stems from concerns far more profound than those associated with late capitalism. The 2012 phenomenon centres on today's solstice because it is a distillate of all our Millennial fears and anxieties, explained through the mythology and astronomy of the ancients.